Lange announces the replacement for the 11 year old Datograph with a new and improved Datograph. 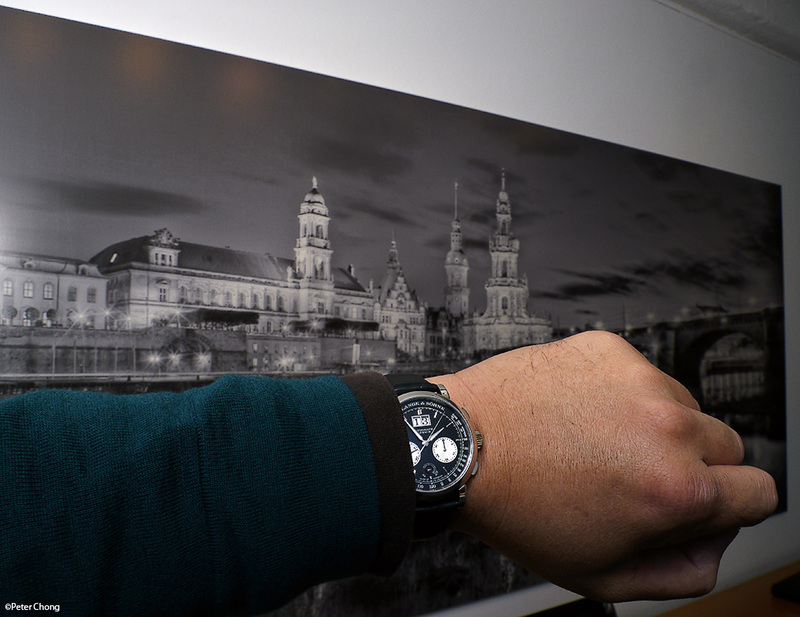 I attended the launch event in Dresden, and managed to spend a full morning with the watch, photographing, examining, pondering. Here are the exclusive live photographs and my personal impressions. 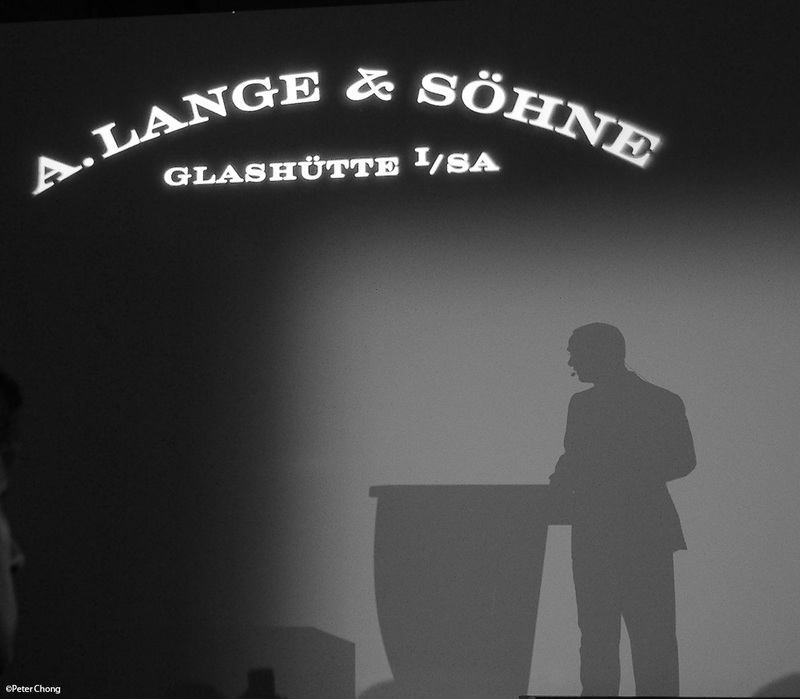 Wilhelm Schmidt, CEO of Lange unveils the new Datograph in Dresden on December 7, 2011 at the Albertenium. Reinventing classics is an activity fraught in danger. If one does a good job, credit goes to the creator of the original. If one does not do a good job, stretching the classic a bit too far…tongues will wag. Who does he think he is, to attempt to improve on the perfect? 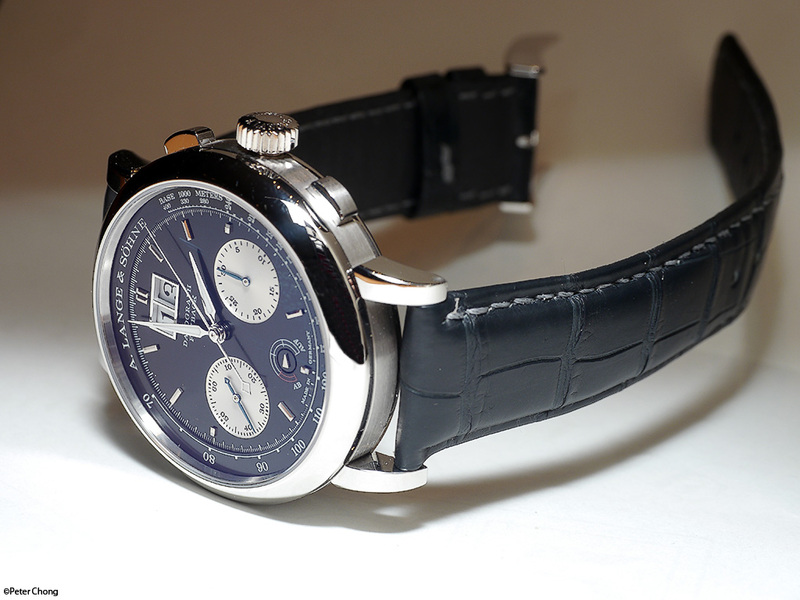 I applaud the folks at Lange for attempting to revise, reinvent, reinterprete one of their own classics – the Datograph. 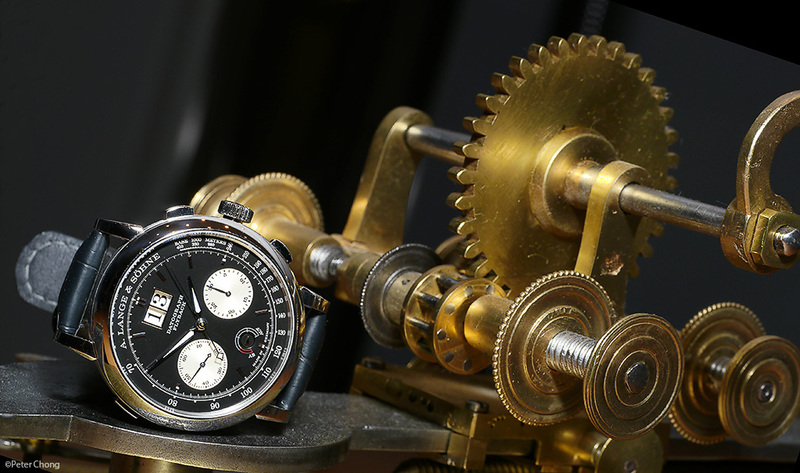 The Datograph was unveiled in 1999, and hailed as the best chronograph ever made. I am one of the big fans, having written one of the first reviews of the Datograph in November 1999, and owning it since. And I will let the cat out of the bag early by announcing that in the eyes of this old Datograph fan, they did a great job. First noticable change is the size of the case. Enlarged from 39mm to 41mm. Not too large. But sufficient to make it current. On my wrist, it fits beautifully. Second, like most things Lange does, this is not without reason, or just for aestetics. 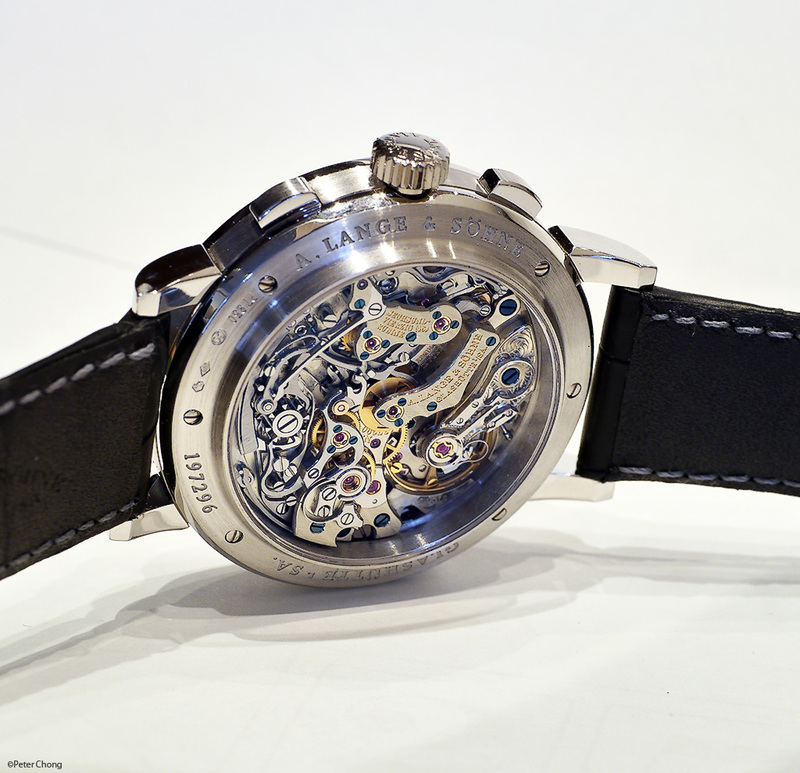 The enlarged case also holds a new movement. Now caliber L951.6, which houses a larger and more powerful mainspring. The movement has now an increased power reserve of 60 hours, up from the older movement’s 36 hours. This is a nice update. 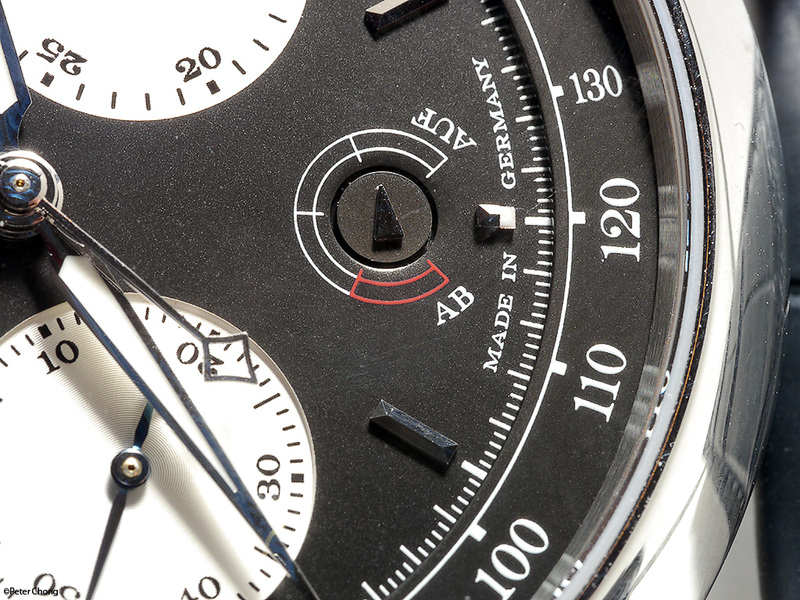 Third, one spies on the dial, a Auf/Ab indicator. 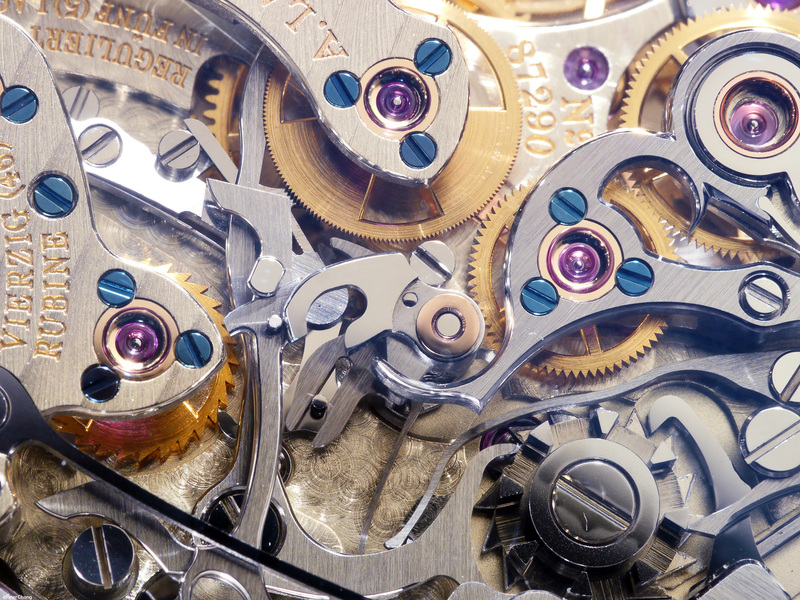 At 6 o’clock, it tells the tale of the mainspring. Some may not be fans, but I do like the little touch of the red tail at the end of the power reserve. 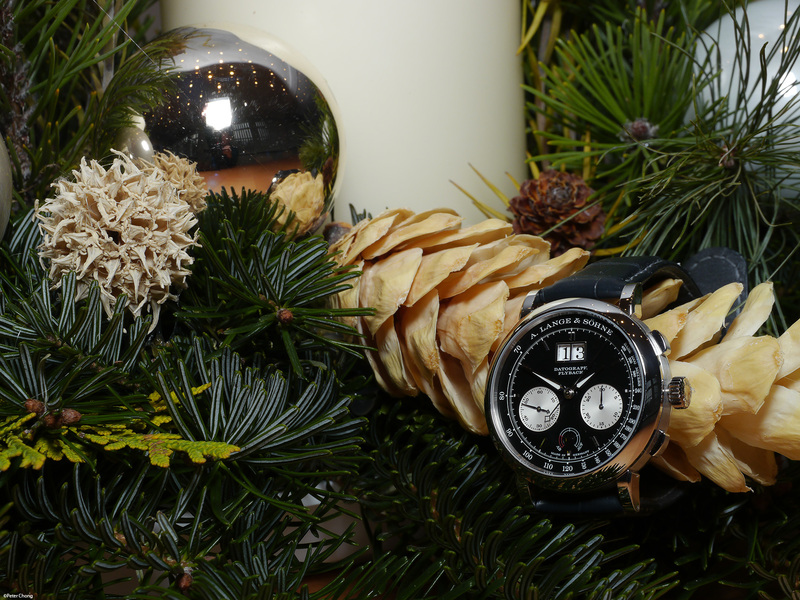 And that the power reserve hand is actually an applique on a turning disk. Fourth, simplified hour markers. The Roman numerals II, VI, and X have been replaced, and the hours are now marked with rhodiumed gold batons. 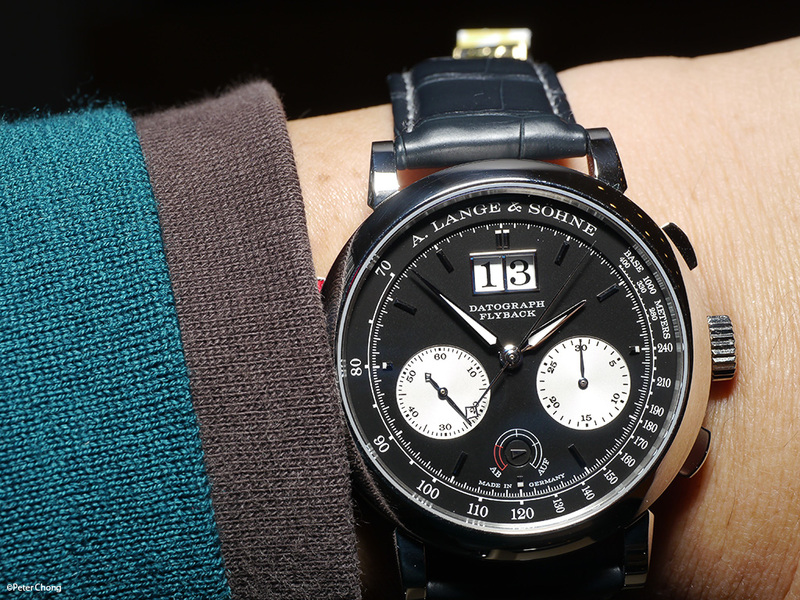 This gives the dial a sleeker look. But still retaining the all important family DNA. Much larger than the original is now fitted. Six eccentric poising weights are now used in place of gold screws to adjust and fine tune the rate and beat of the balance. 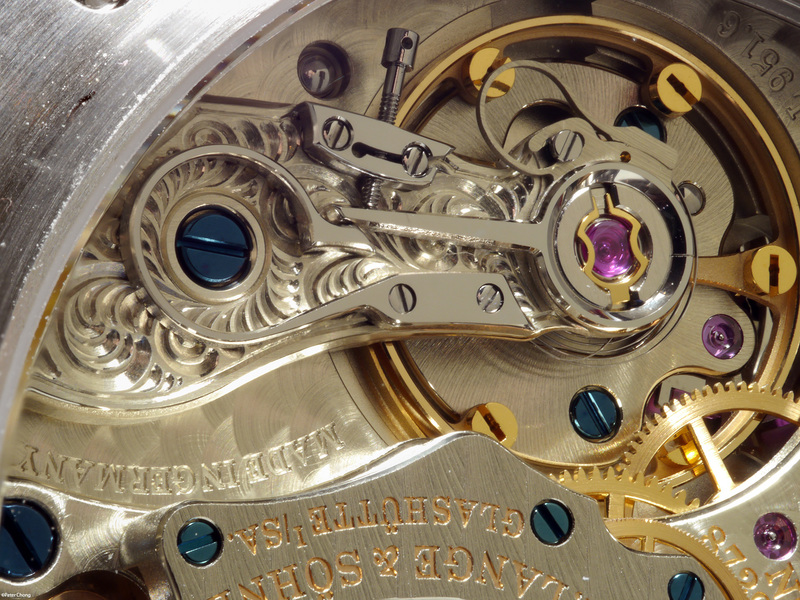 The eccentric weights are more aerodynamic than the screwed balance, though some may prefer the traditional look of the gold screws around the balance wheel. The larger balance allows the Datograph to keep better time, all things being equal. And the exclusivity of the in-house balance is an added bonus. 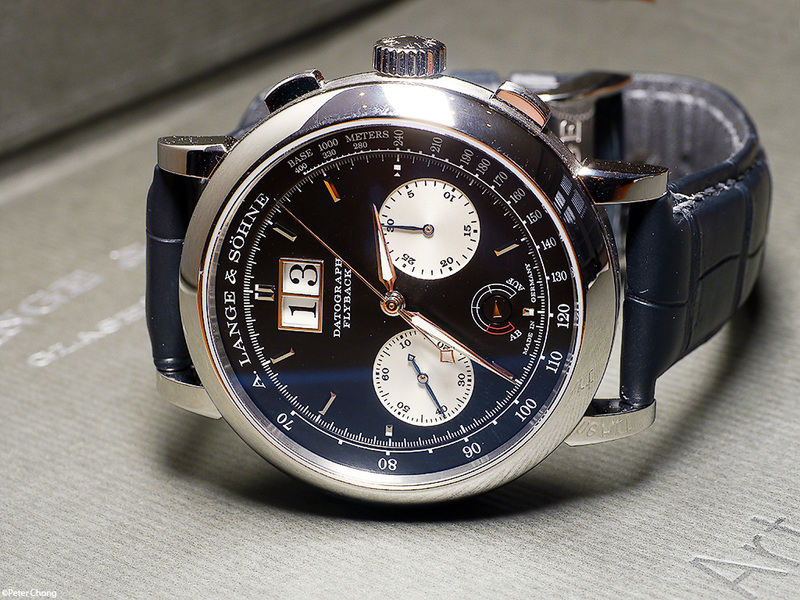 This makes it the 18th Lange caliber to carry the inhouse balance, starting with the Double Split in 2004. 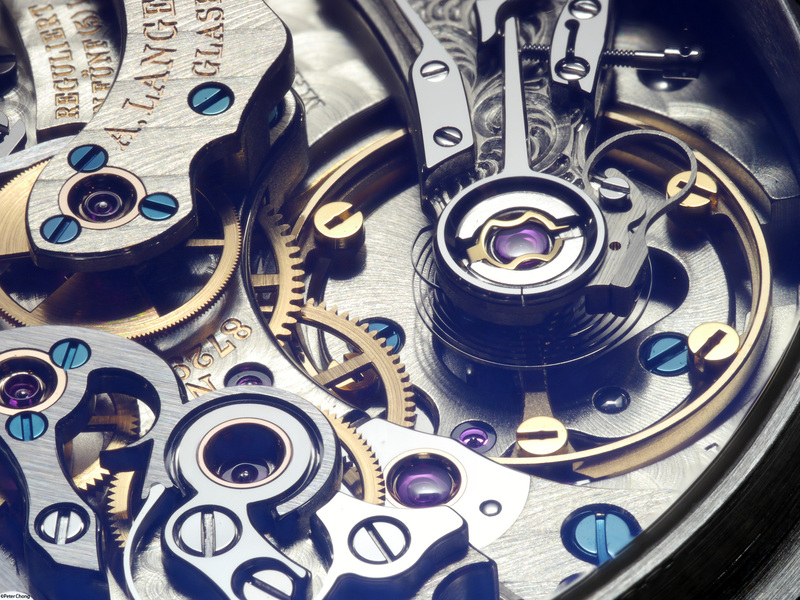 As a result of the enlarged movement, due to larger mainspring and opportunity to enlarge the balance, the dial has to be redesigned. 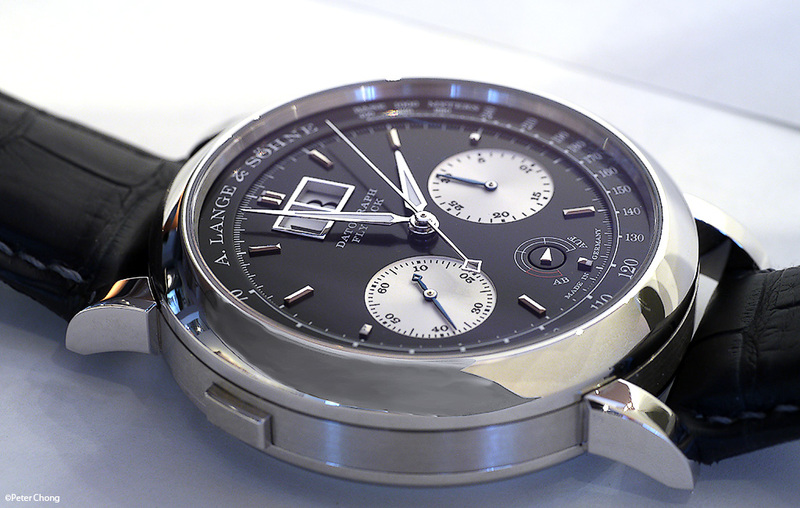 And the famous Lange outsized date also enlarged so that it appears proportionally the same on the dial. Nice touch in this detail. such that the return pusher now applies its force on the heart cam indirectly, via a spring loaded lever rather than allowing direct pressure from the operator’s finger on the pusher to act on the cam. This alleviates the pressure on the cam, avoiding early damage. 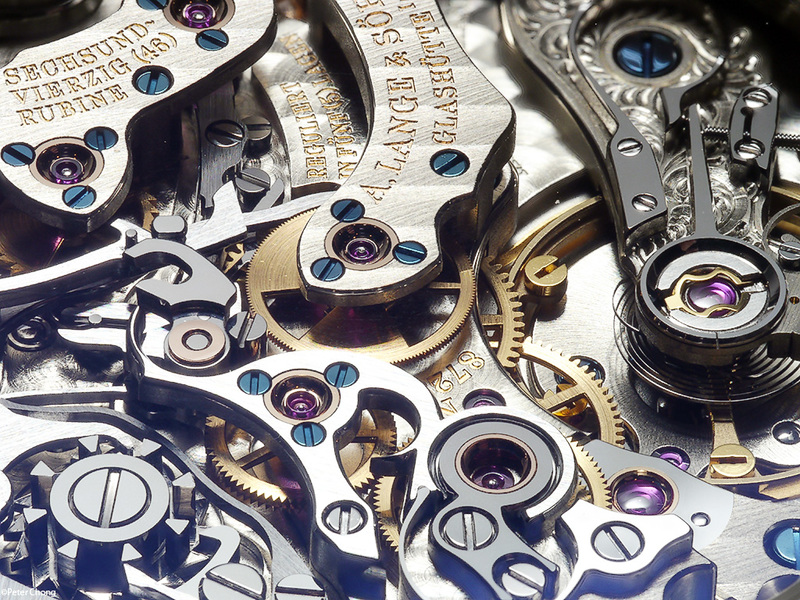 Other Datograph functions, like the light, smooth operation of the pushers remain unchanged. 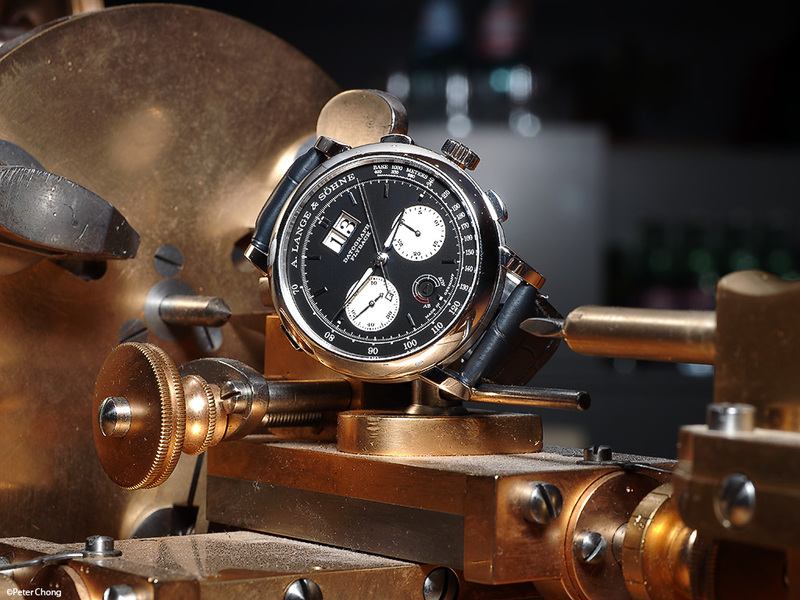 As is the precisely jumping minute counter…a delight to many, especially when it was introduced in 1999. Have a Blessed Christmas, and may your years be filled with happiness, prosperity and health. Please do leave your comments, impressions either here, or at at the Lange discussion forum I moderate at Timezone.com. Photo note: Please note that the watch being photographed is a prototype, and bears the grit and grunt of many hands on it the evening before I had the opportunity to photograph it. So please excuse the “lived in” look of the watch. Also, as I was travelling light to the event in Dresden with only the GH-2, 45 macro and a small flash (Canon EX580II), the lighting is harsh, and not as flattering as if I had used the Profoto Compact600s. Note also, all photographs are original. I have intentionally not used any of the press photos.